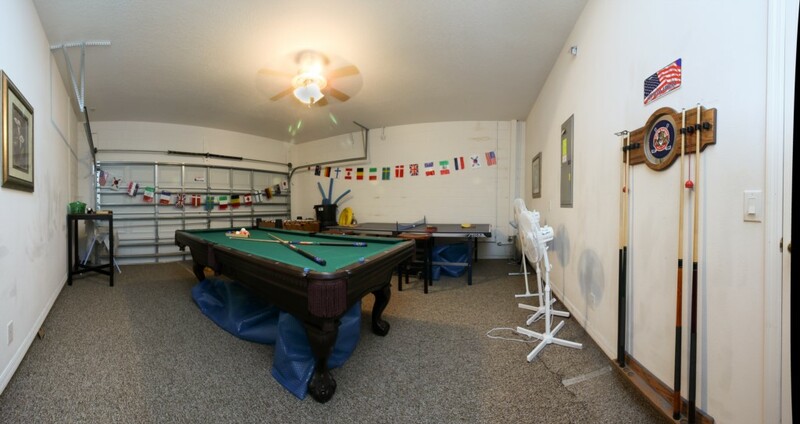 Disney Area Deluxe (AOA) Orlando 6 Bed 3 Bath Rental Home with swimming pool and games room, fully equipped for 'home-away-from-home' holiday rental accommodation. Disney Area Deluxe Homes are located from 3 to 20 miles away from Disney World Resort, Sea World and Universal Orlando attraction parks. 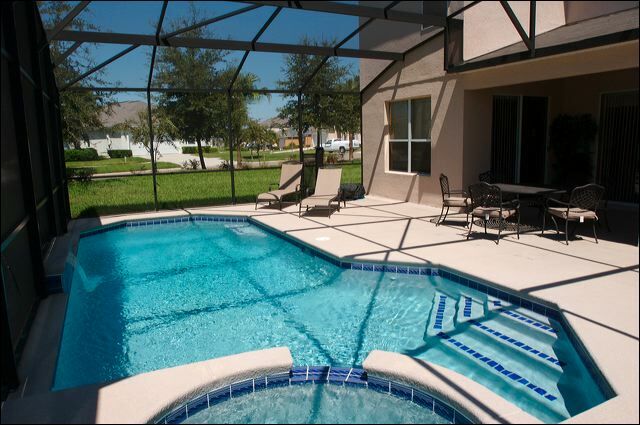 Disney Area Homes with Pool in the Kissimmee, Orlando Area are located just a short drive from a numerous selection of restaurants shops, and are conveniently located from 3 to 20 miles away from Walt Disney World, Sea World and Universal Orlando attraction parks. 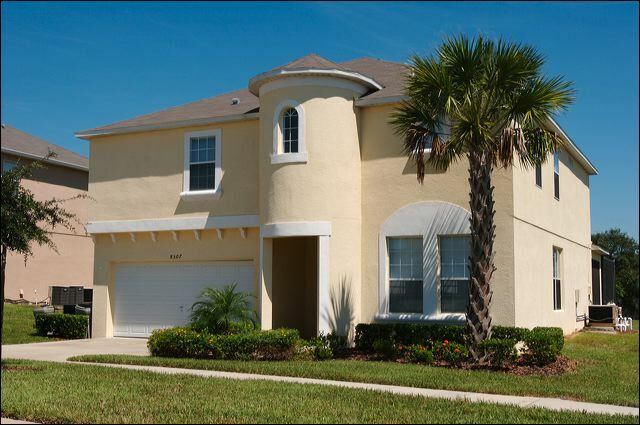 Disney Area Pool Homes are a great choice for those that are not overly concerned about the exact location of the rental home and prefer to keep the rental cost to the minimum. 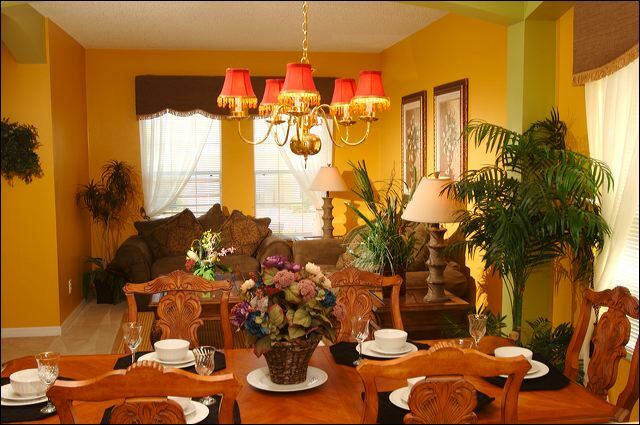 All homes feature: telephone, cable/satellite TV, central air conditioning and heating, towels and linens. In addition each will features a fully equipped kitchen with a cooker, refrigerator with freezer, a microwave, toaster, coffee maker, dishwasher, all cooking utensils, cutlery, plates, cups and glasses. Laundry facilities, washer and dryer. 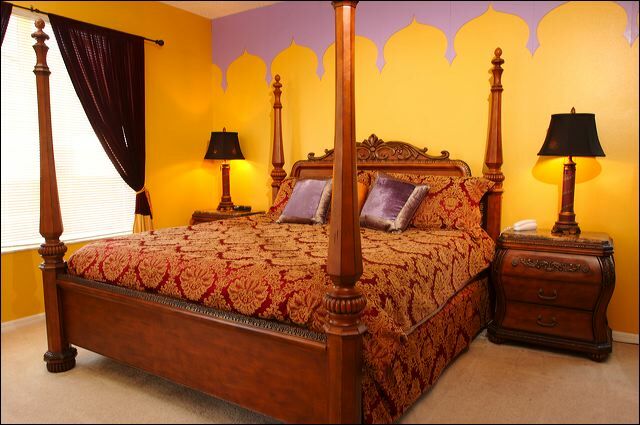 Master bedrooms will have a king or queen bed with an adjoining full-bathroom. Additional bedrooms will have either a double bed or twin beds with at least one shared full bathroom. Each bedroom has beds for 2 people. A pull-out sleeper sofa in certain units will increase the occupancy by a further 2 people, the sleeper sofa is recommended for children, not adults. 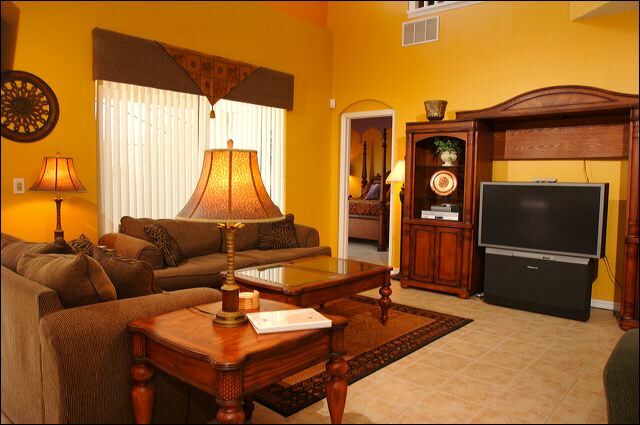 On-site resort facilities and amenities will vary in each of the communities. It is important to note that Disney Area Homes do not guarantee on-site amenities.